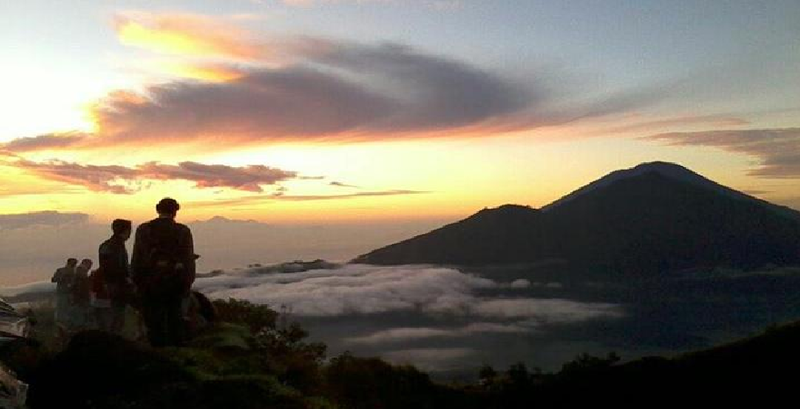 Mount Batur Volcano Sunrise Trekking – is an unforgettable morning Trekking Tour in Bali, Watch the incredible sunrise from the summit of Mount Batur, also Mount Batur has a wonderful panorama. Additionally it has a very exotic caldera lake we can enjoy. 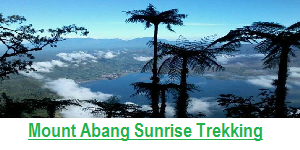 We wish to take this tour of mount butar trekking on march 7. There are 2 of us and we are both vegan. Can we book this thank you. Organization to the top guide attentive as well for the ascent and descent to help us take pictures. Very cold at the top, despite a sweatshirt and sweatpants. But we had made the climb in 1:15 so we waited a little over an hour the lifting of the Sun and with the wind at the top it is best to plan what to warm up. Magnificent view at the top of the mountain and the ridges of the crater. In short do without hesitation. My companions and I exceptionally appreciated the dawn climb. Our guide was extremely pleasant and supportive. Also, the view was totally astounding. I’m not quite a bit of a climber but rather I would prescribe this to everybody. 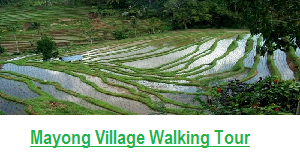 We did this trekk during our stay in Ubud… certainly one of our best memories of Bali! A unique moment shared with our guide Mr Dewa. Ascension is a middle of the night for arrival before the dawn. 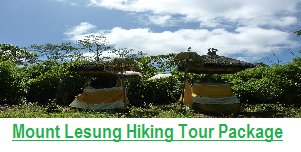 The Organization was perfect, the guide adorable, you can go through Bali Jungle Trekking without any problem. Excellent organization, driver right on time (2.5 hours from Ubud) and arrive on the departure at 3:30. The guide really top, attentive and that helped my friend all along. Breakfast at the top of the mount, perfect to warm up in the meantime the wonderful sunrise. 1 h 30 of climb is well worth the effort, it’s really to do so it is beautiful. I recommend to protect the legs, I found a tick in the car on the way back, nothing too serious but still through a large forest at the beginning. A view of sunrise on Bali, it must be earned! 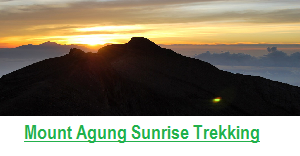 We had chosen the “trek mount batur sunrise”. Up at 1:30 in the morning, our guide Nyoman, and Ketut driver came to pick us up at the hotel. After to be fitted, it went to a rise of 1 h 30 in black with headlamp on the head. Once at the top, the tiredness is forgotten. We take a breakfast, carefully prepared by our guide and we wait for the Sun to show all in the company of some curious monkeys! The organization went perfectly. Payment upon the day of the tour by cash, voting by mail and pick up from the hotel work wonderfully. We were only two of us in the car as well as on the ascent. The guide was absolutely top. We got a stick and a head lamp and water each. At the Summit, there was sufficient food with banana toast, fruit, Granola bars, tea etc. The Guide has offered absolutely on our needs, taking into account always breaks and adjusts the pace depending on the needs. Back you can take also a (slightly over 30 min longer) alternative route. 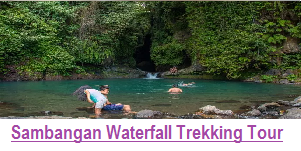 On the return journey you can hold in the Hotsprings or a coffee plantation. We are back to the hotel. You can so things work individually with the driver. Conclusion: Tour and provider are absolutely recommendable! We just made the ascent of Mount Batur to see the Sunrise, with my wife and my 10 year old son. It was exceptional. Everything was very well organized. The driver, Putu (very nice) picked us up at our villa around 1:30 in the morning and led us to the foot of Mount Batur. From there, an adorable and very funny guide led us to the Summit. It was physical, especially the last hour, but the result was awesome! After a breakfast (sandwich to the banana and hard-boiled egg, all cooked in the heat of the volcano) we went to see monkeys in freedom very fond of our leftovers of bananas, not hesitating to us ride to retrieve. We are back down then the daylight, proud, especially my son, to be able to climb this beautiful volcano. super experience decided on my first review. Good English speaking driver and guide. Take all the time for you and are genuinely nice. This also came to his right by the small group; 1 Guide for me and my girlfriend. Other guides “Guide” massive large groups and walk just ahead. Our guide Made, was really super. After the walk you will also neatly in a private car to your hotel. All in all: Top experience! Just wanted to reach out and say what a great time we had with Dewa. He is truly a wonderful guide. I really appreciated my time with him. I wanted to let you know that I thoroughly enjoyed my hike to Mt Batur on Saturday. My guide Gede Wyria was excellent and we had a lot of fun. We must say that this trekking activity is absolutely compulsory to do!!! A Partner and I were at that time accompanied by Dewa who was really exciting and helpful. He was indeed energetic. He kindly motivated and sort of pushing us all the way to the peak. It’s all worth it that sense of success and the fascinating views and seeing that beautifully magnificent sunrise that we really enjoy witnessing. Dewa made us amazed and supported us and assisted me up and down especially on the way down as the path was quite steep. In conclusion, we highly recommend this exciting trekking trip!!!! We found out that the service was really great; we were a small group consisting of 4 adults and 2 boys. At that time, our pick-up schedule was 2 a.m., the driver who picked up us came a bit early and we could get everyone in and off by 2am, which was so awesome. As a matter of fact, because of the boys, we needed 2 guides and both of them were truly good and patient, they ended up carrying the boys half way down, which was more than the job they ought to do. They were really helpful. On the way back, we left one of the boys’ drink bottle in the car and the driver brought it back the next day to the hotel where we stayed. Indeed, we were really happy with the services we have got. The wonderful sunrise trek that my husband and I did to Batur active volcano this morning with our guide called I Putu & our driver, Adi. It was a truly exciting tour. Previous worries about an early 2AM wakeup call simply vanished as we walked under the stars up to the peak of Batur active volcano. The journey took us about 85 minutes to do the whole thing, but the guides budgeted 120 minutes or more to account for longer rest times or slower climbers so that you would not miss the sunrise! Our guide was really knowledgeable about the surrounding area and realistic about timing and frank about the field. In fact, It was not a difficult climb, but it did get challenging and steep in some sites. We could expect to climb mostly on an incline and using rocks, tree roots and sand as makeshift steps. We could definitely rest at any spot and they planed mini rest stops every 30-40 minutes. It is recommended that you bring as little as you can as you will have to carry a flashlight and a walking stick as well. This journey is good for people who are regularly physically active! It is not good for people who are expecting a gradual incline to the summit of the active volcano. What we could enjoy here was the breathtaking sunrise views. Additionally, the adorably hungry family of macaque monkeys who were a few feet from us at the top meant that we didn’t have to go to Sacred Monkey Forest after all! They served us the minimal breakfast at the summit which was exactly what we needed at that time. What has made it even better was perhaps a cup of coffee at the top. You can ask your driver to take you to the so called “Luwak” coffee plantation after the climbing trip. At that time we asked the driver to take us to the hot springs afterwards and though it was a little bit shabby in decor, the water therapy was really refreshing after the trekking trip! At the time we did the tour, my partner and I were quite fit and found the hiking trip pretty challenging. I fact, the journey was definitely manageable but quite steep and a little unstable in several spots but it was absolutely worth seeing the fascinating tropical sunrise. Simply, it was one of the highlights of our exciting trip. Moreover, the tour guide was great and very happy to help us. One more thing is that it was quite cool at the summit of the active volcano so that pants and a jacket are really recommended to put on. The Mount Batur sunrise trek with our guide Jero Lanang and driver Putu Mareyasa was a surreal adventure. The view at the top is truly breathtaking — on a clear day, you can see clouds circling the surrounding volcanoes, a glistening lake, and a massive crater with rising steam hot enough to cook an egg. 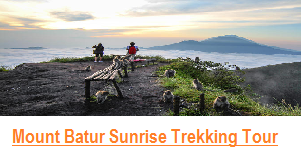 You’ll even share the summit with adorable monkeys and Kintamani dogs. My friend and I are not experienced hikers, but Jero patiently led us up (and down) the volcano every step of the way, at times literally holding our hands to make sure we were safe. Out of 300+ hikers, he got us up so efficiently that we were the #2 group to arrive, securing a spot in the hut while we waited for sunrise and had first dibs on coffee, fruit, bananas and sandwiches. Throughout the journey he also explained to us the history of the mountain and surrounding area, and gave us a glimpse into his life as a tomato farmer in Bali. We felt like we were climbing with a friend. Putu was likewise wonderful and friendly, obliging our requests to slow down for photos during the stunning ride down the Mount Batur area, as well as going out of his way to get Jaya Fried Chicken on our way home. He showed up EXACTLY at our doorstep as we were leaving our villa to meet him, and was so friendly even at 1:30 a.m. in the morning, and when we were sleepy and tired on the way back, he didn’t make a single sound so as to let us rest. Jero and Putu’s kindness and hard work made the hike all the more worthwhile, and we are so grateful for their company on this unforgettable journey! If you are paired with either one of them, your trip will be amazing. 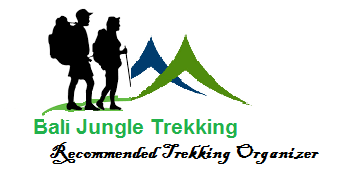 They are absolutely two of the best staff at Bali Jungle Trekking.